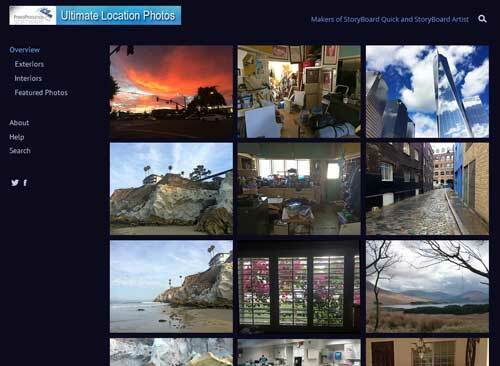 The new Ultimate StoryBoard Locations Website is a massive collection of scenic locations and backdrops all perfectly optimized for storyboarding. Tens of thousands of Interior and Exterior shots taken with the cinematic eye of a Location Scout in a variety of angles and elevations helping you get your locations for previs - without leaving the house! And more are added every week! This bundle save you a bundle. Choose 30 images for half the normal price.